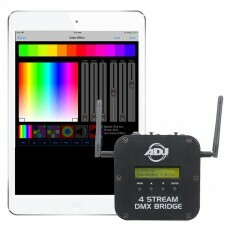 4 STREAM DMX Bridge is a compact 4-universe wireless device which seamlessly bridges WiFi, Art-Net, sACN, and WiFLY (ADJ wireless DMX solution) signals to wirelessly control compatible DMX devices with control from the 4 STREAM DMX BRIDGE APP for iOS devices. 4 STREAM DMX BRIDGE creates a private standalone 2.4 GHz DSSS (Direct Sequence Spread Spectrum) WiFi network, which coexists in busy RF environments alongside other wireless technologies. No existing network infrastructure is required, or it connects to an external network. 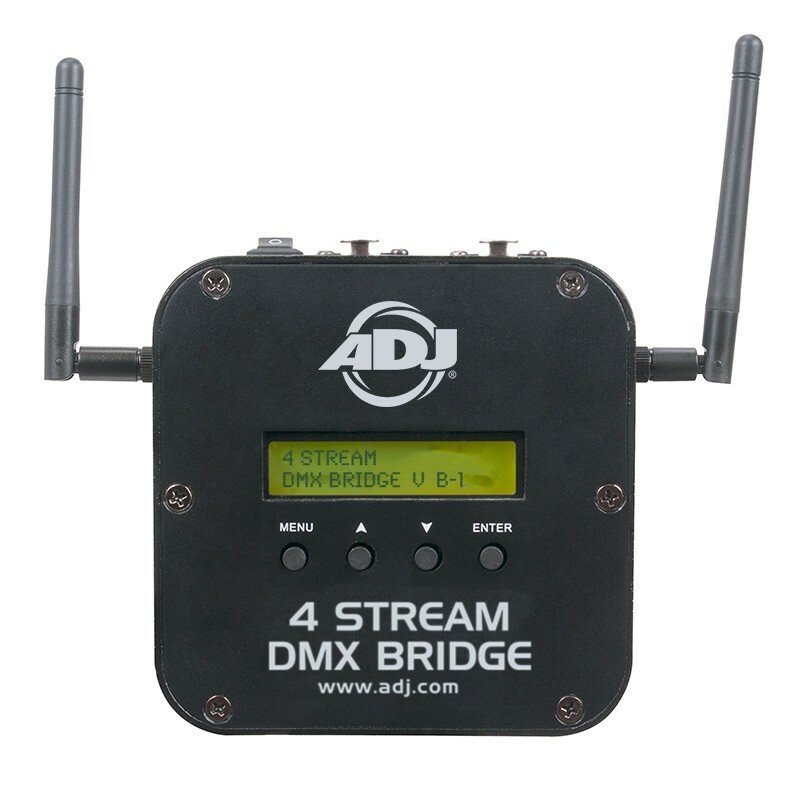 4 STREAM DMX BRIDGE sends constant and reliable wireless DMX signals to compatible DMX devices via DMX-512, Art-Net, sACN, or WiFLY. 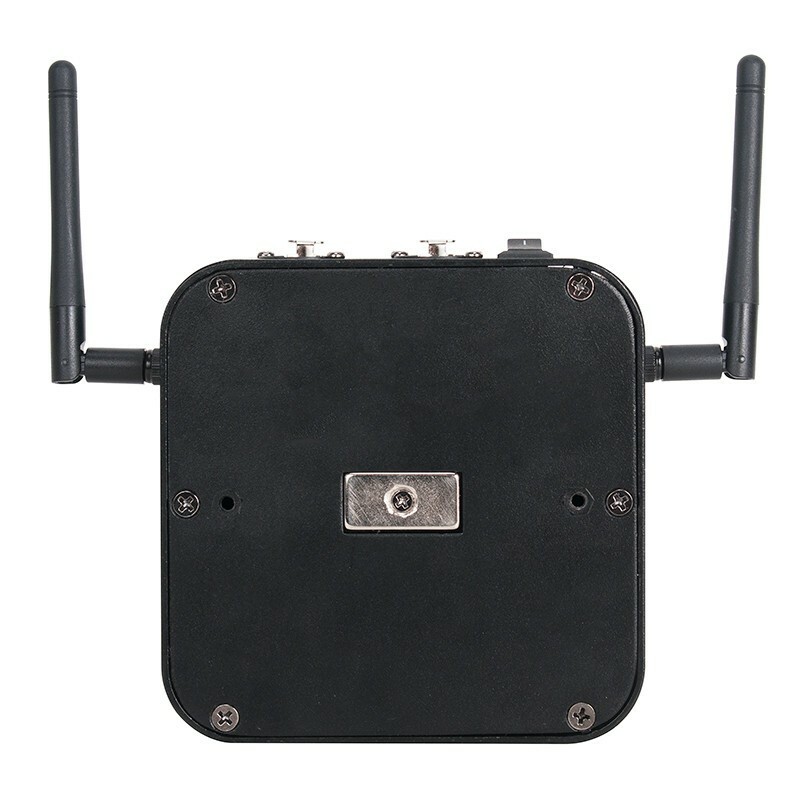 Features include separate WiFi and WiFLY wireless antennas, (3) 5-pin DMX outputs, a mini USB port, a 4-button control panel, an LCD system menu display with an LED network activity signal indicator, on/off switch, an external DC 9-12V power supply, a mini omega bracket for easy clamp/truss mounting, a magnetic back for easy attachment to metal surfaces, and easy configuration from a PC connected via USB Mini B port using the 4 STREAM DMX BRIDGE Setup Windows app or over Wi-Fi using the ADJ 4 STREAM DMX BRIDGE Config iOS APP. 4 STREAM DMX BRIDGE is ideal for small production events, nightclubs, bars or any event or venue which requires hidden data cables, and who are looking for a robust, 4 DMX universe APP based lighting control solution. 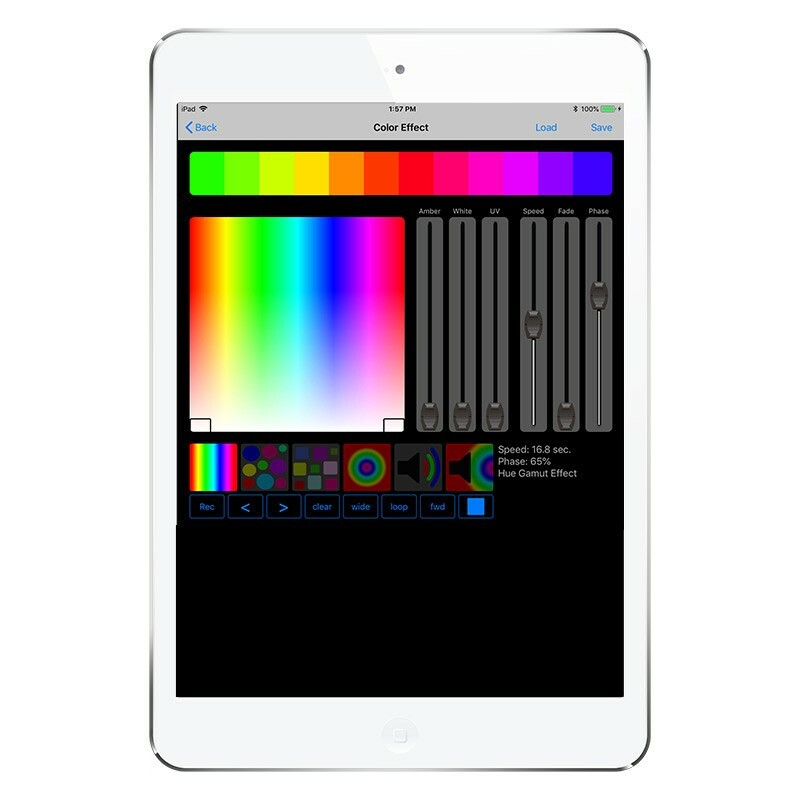 APP compatibility: Compatible with iPad only. Requires iOS 9.3 or later. • DC 9-12V 1AmpApple, the Apple logo, iPhone, iPad, and iPod Touch are trademarks of Apple Inc., registered in the U.S. and other countries.